Yeony: What kind of street performances did you like? Yeony: Ok. Then, I will remind you some MYSTIQUE street performances today! Suny: Yay~~~ I am so relieved that I have a partner like you! What a beautiful couple!! Their memory regarding this special wedding will last for their entire life. They were celebrated by hundreds of people! How MYSTIQUE their wedding was! 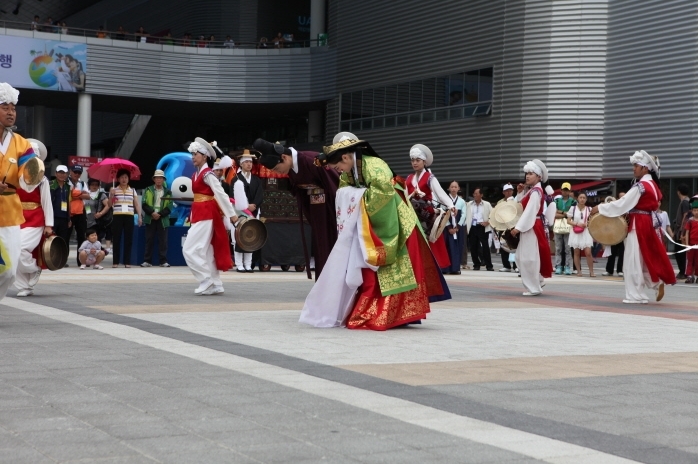 The following video clip shows the Korean traditional wedding. 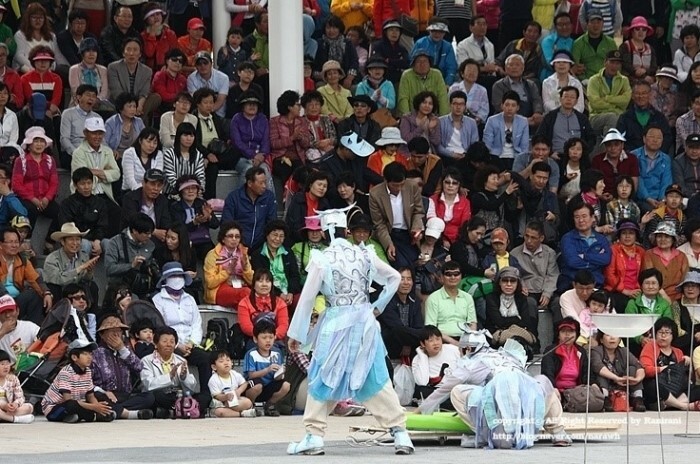 A series of MYSTIQUE scenes had captured visitors’ attention during the Expo! Watch the MYSTIQUE Wukumchi with the following video clip. 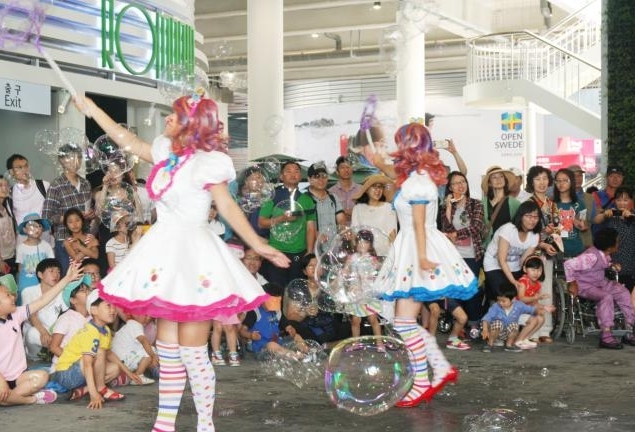 This time, one of the most loved street performance by child visitors, Bubble Show!! The children were all eyes with the MYSTIQUE bubbles! Meet the Bubble Show with the following video clip. Let’s jump to the sky!! 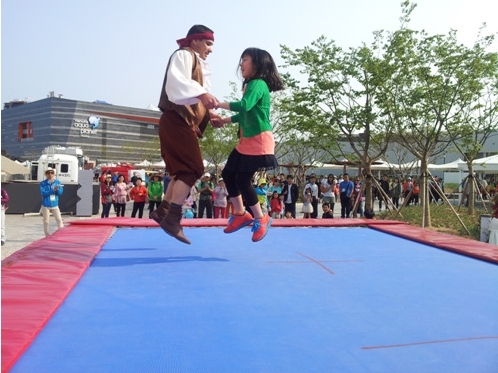 The MYSTIQUE Trampoline Circus also invited visitors to jump. All the visitors including children and parents really loved it! Enjoy the MYSTIQUE Trampoline Circus with the following video clip.